Thurso-based distillery Wolfburn has launched its third small batch of single malt whisky, alongside a commitment to continue releasing expressions in the series for the foreseeable future. Wolfburn Batch No. 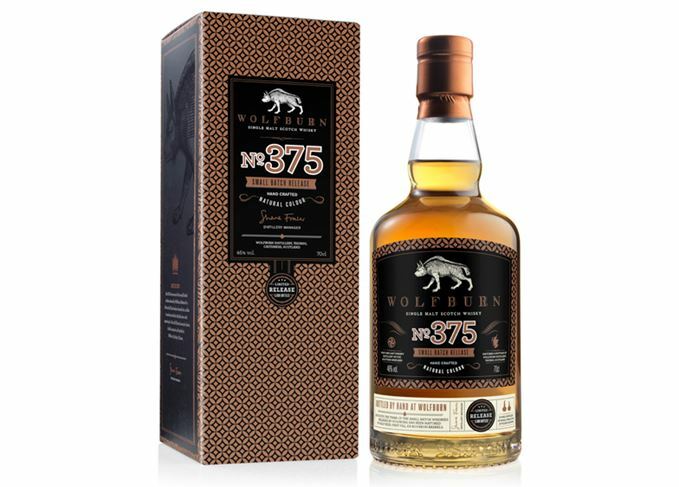 375 is an unpeated single malt matured for four years in 100-litre first-fill ex-Burbon casks and second-fill ex-oloroso Sherry hogsheads. Said to be ‘rich and complex in flavour, with a beautifully sweet and aromatic nose’, the whisky is bottled at 46% abv. The release is limited to 5,500 bottles, which are now available for around £70 each. This is the third small batch release for Wolfburn, which began making whisky in 2013. The name refers to the location of the barrels used in the expression – in the case of Batch No. 375, warehouse three, stow 75. The fourth expression will be launched in early 2020. The first edition in the series, Batch No. 128, was launched in 2017 and made from lightly peated spirit matured in 100-litre first-fill ex-Bourbon casks. It was followed in 2018 by Batch No. 270, an unpeated whisky also matured in 100-litre first-fill ex-Bourbon casks. Wolfburn Aurora is an NAS single malt from Scotland’s most northerly mainland distillery. Three grains, three malts: GlenDronach, Aultmore, Carsebridge, North British and Wolfburn. Dave Broom tries spirits from the opposite ends of the age spectrum in this week’s reviews. Dave Broom brings a mixed bag of flavours from Ardbeg, Bunnahabhain, Caol Ila and Wolfburn.